I really enjoy this foam hand soap, feels like it really get all the grim off my hands. The smell is also delightful. So simple and easy. The company itself is amazing. All product are nontoxic and never tested on animals. It also never irritates my skin. Doesn't leave my hands dry. Smooth nice feeling after washing hands. It's a must try for hand soaps. I love the way this product smells, and so do my guests. I had a friend who liked it so much I gave them my back-up bottle to take home with them. I'm not sure how this is in bacterial situations; I have a small son and when I DO manage to get him to wash his hands I Iike knowing the product did a thorough, germ-killing job. I like the container design. I do find the pump spout gets dirty somehow. 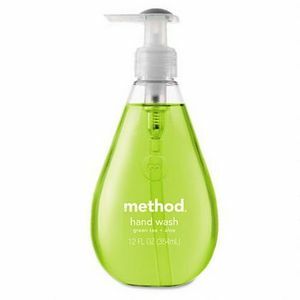 Method's Lavender Foaming Hand Wash is not the best choice as far as I'm concerned, but it is a better option than some. For one thing, SLS is an ingredient that can be found in this soap. This is not a great ingredient to be dealing with, but the rest of the ingredients are better than all the ingredients in some other brands of hand soap. The smell is great and relaxing and the soap does clean hands really well. Also a little goes a long way with this hand soap. You do not need to use a lot to clean your hands. I would say if you are just starting out on natural products this would be an okay one to start with. I would however like to mention that there are better alternatives available. For the most part I appreciate the company trying to make a product that is better for an individual than most of the hand soaps out there. If you can find a better option, use it. If not, Method Lavender Foaming Hand soap is definitely a better choice than some. I genuinely enjoy the vast majority of Method's Earth and people friendly products, especially their hand washes, but their Sweet Water Foaming Hand Wash was just not up to the usual quality. The soap itself, if you disregard the scent, is actually a very good product. With a single pump you get a good amount of lather and it cleans thoroughly. There's no need to use two pumps unless you're extra, super dirty from the garden or cooking or something. The foam rinses off quickly and cleanly with no residue. The soap never, ever dries your skin and leaves your hands feeling soft and clean. The problem with this was the scent. I've used other Method products before and they've been quite pleasant and light in their scent but this was just not one of them. The scent really came across as almost cloying. It was actually sneeze inducing for me. 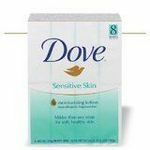 The soap is a good quality and economical and comes in a pretty pump so if you're a fan of the scent you may find this to be a good match. I have in the past purchased and used this Method Lavender Foaming Hand Wash numerous times and have been very pleased with it. When I first moved out into my own place this is the soap I purchased for my bathroom. I have to say that I purchased it because I liked how pretty the bottle was and I have always liked the lavender scented products. 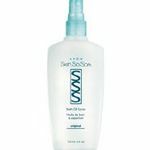 Well imaging my wonderful surprise when I tried this product and it was just perfect. Not only was it very pretty to look at it also was very good at cleaning my hands and left a very nice pleasant scent when I was done. When I got ready to go to bed I washed my hands and upper arms just so I could smell the relaxing lavender scent that put me to sleep. This soap was really good at moisturizing my skin and not leaving it feeling dry. The price of the Method Lavender Foaming Hand Wash is a little steep but it is also well worth it. I would certainly recommend that all of my friends and family members try this. You will be very glad you do. One of the best things about all method products is that they are all natural and do not contain a lot of harmful chemicals and that includes the method green tea and aloe hand wash which meets the same high standards! 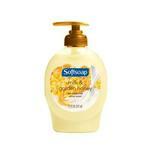 This is absolutely one of my favorite hand soaps! The all natural element of this hand soap is amazing because I wouldn't want to wash my hands with chemicals that could potentially leave harmful chemicals on my hands before I prepare food or things like that! Another thing I love about this hand soap is the scent! 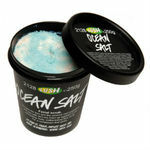 It has a very fresh scent like green tea and it leaves my hands smelling really nice after washing with this. It lathers up really nicely and gets off all kinds of dirt and grime from my hands. I really feel like my hands are getting really clean with this hand soap! It washes off easily and doesn't leave any sticky residues on my hands. Overall I really love this method hand soap! I'm not normally a big fan of foaming soaps, whether for dishes or hands, but I really like Method's products so I decided to give it a try. I was pleased with the design of the bottle, which looked nice on the countertop in the bathroom. The purple color was also very pretty. I was not pleased by the soap itself. The foaming action means that it has already produced all the bubbles it is ever going to so it does not lather nicely on the hands like a traditional hand soap. I felt like it didn't get my hands as clean as a regular soap. The fragrance was pleasant but not wonderful. It wasn't as cloying as many lavender soaps. I also found that a bottle of this foaming soap doesn't last as long as a traditional soap so it's not as good of a value as their regular soaps. I did finish up this bottle of foaming soap, but I didn't purchase another one, instead returning to their regular soaps. Overall this was just okay but I wouldn't particularly recommend it. I MUCH prefer to wash my hands with foaming soap. With foaming soap, I can use a small amount of actual soap and this method soap dispenser will create enough foam to completely cover my hands. I then do not need to use much water to rinse off the soap, so I think I am saving a lot of water because I am constantly washing my hands. I thin these method bottles are really cute and I use this soap in my bathrooms and in the kitchen. If you can't find the method soap to refill these bottles, you can just use any hand soap and water to refill the bottles. It works best to fill the empty dispenser with about 75% water and then 25% soap. I sometimes turn the bottle upside down or on its side to get the water and soap to combine better. I've refilled these bottles over and over and also put the dispenser parts in the dishwasher multiple times and the bottles still look good and work good. Effectiveness I think it is extremely important to completely wash hands. With this foam, I can visibly see that I am getting soap to cover every part of my hands. I usually spend a minute or two rubbing the foam all over my hands and I think the whole process is very hygienic. Method Green Tea and Aloe Hand Wash is such a great hand wash to use! I really love the Green Tea and Aloe scent of this hand wash and I love the way it leaves my hands smelling clean and fresh. You wash your hands with this hand wash as you would with any other hand wash just press down on the soap handle leaving about a dime size of soap in your palm and then run your hands under warm water and lather your hands together and then rinse them off. It is mess free and does not take up much counter space. I love the way it looks too! It is very simple but can accomplish so much. I do not find myself having to repurchase this hand wash by Method too frequently which is convenient and financially rewarding. I will definitely be recommending Method Green Tea and Aloe Hand Wash to all of my family and friends. Effectiveness Method Green Tea and Aloe Hand Wash is so effective at cleaning my hands and leaving them smelling great. Scent I really love the Green Tea and Aloe scent of this hand wash by Method. It makes my hands smell so good! I love Method Lavender Foaming Hand Wash. The bottle and color look nice, it's a good size (not too big or too small), the pump works well, and the soap foams up nicely. The lavender scent is wonderful. Of the various scents Method has out there, lavender is one of my favorites. After using Method Lavender Hand Wash, my hands feel and smell clean without feeling dried out. Method tends to be a little bit more than store brand hand wash, but the ingredients are of good quality and less harmful to the environment. To be economical and save some money, you can always buy the single bottle Method hand soap, then buy the larger refill to keep on hand for when you run out. Well worth the price, and still cheaper than Williams-Sonoma. Effectiveness After using Method, my hands feel clean and fresh. This hand soap is not messy at all. It foams up nicely without having to use a lot. Scent Very nice fragrance.